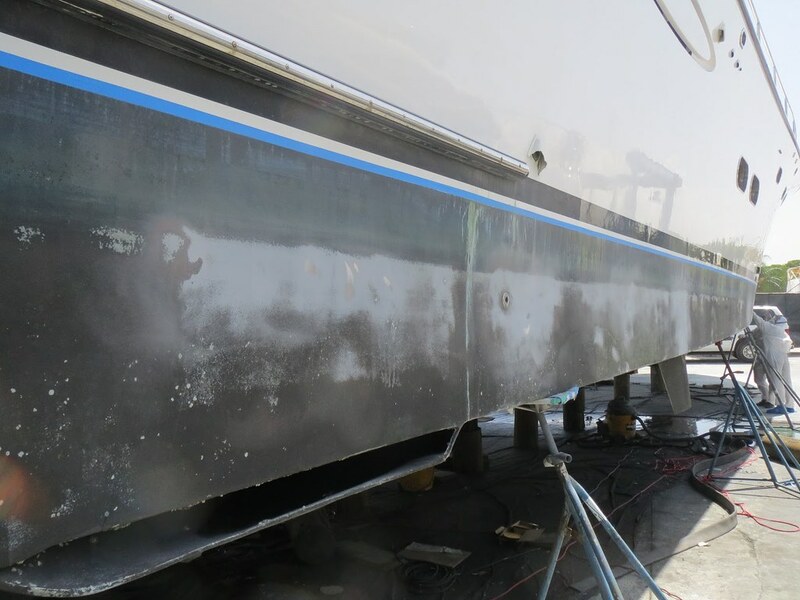 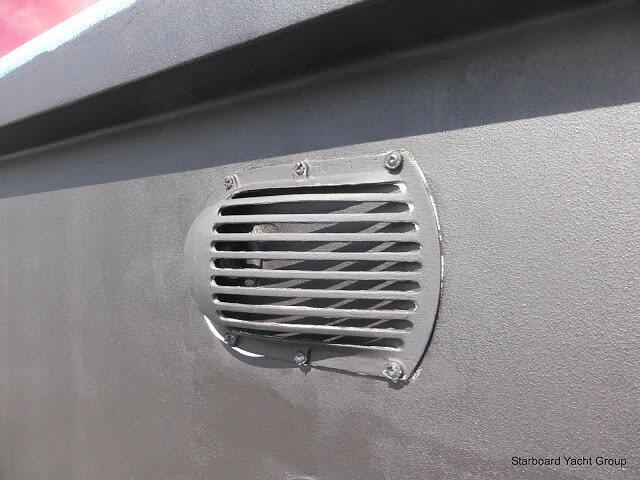 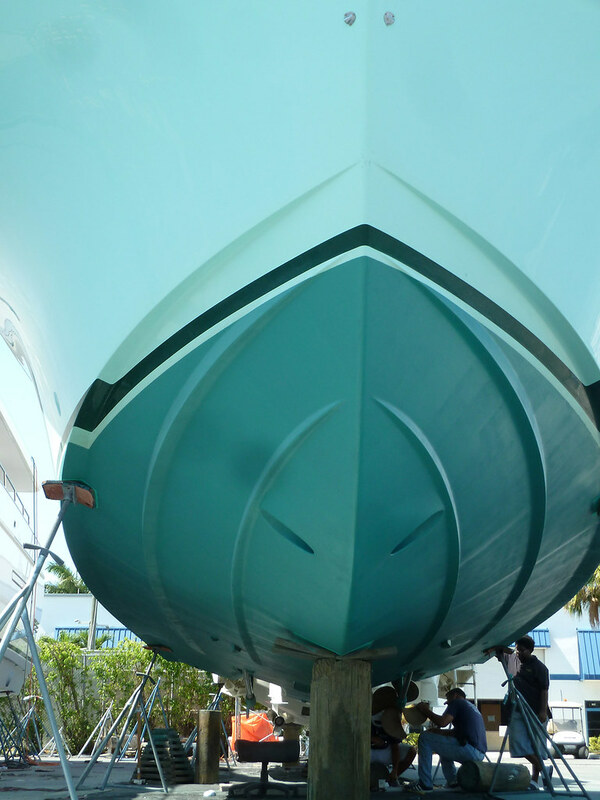 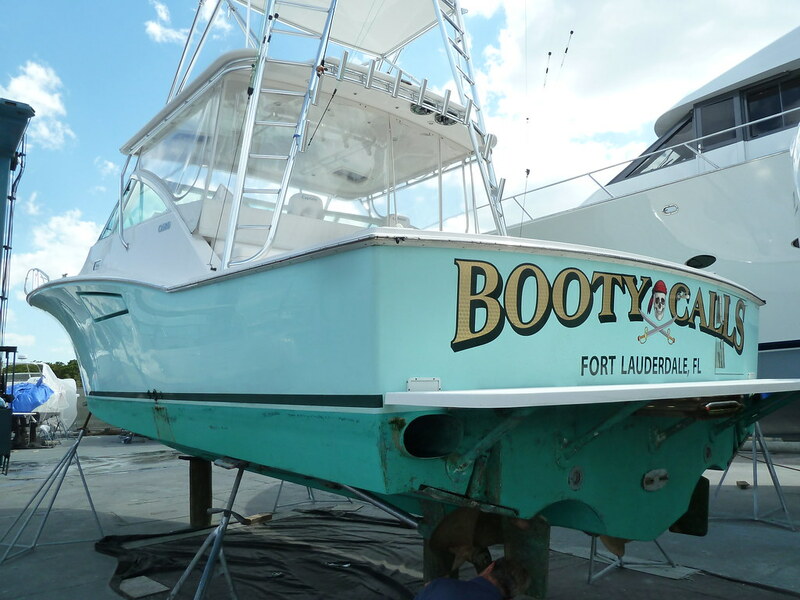 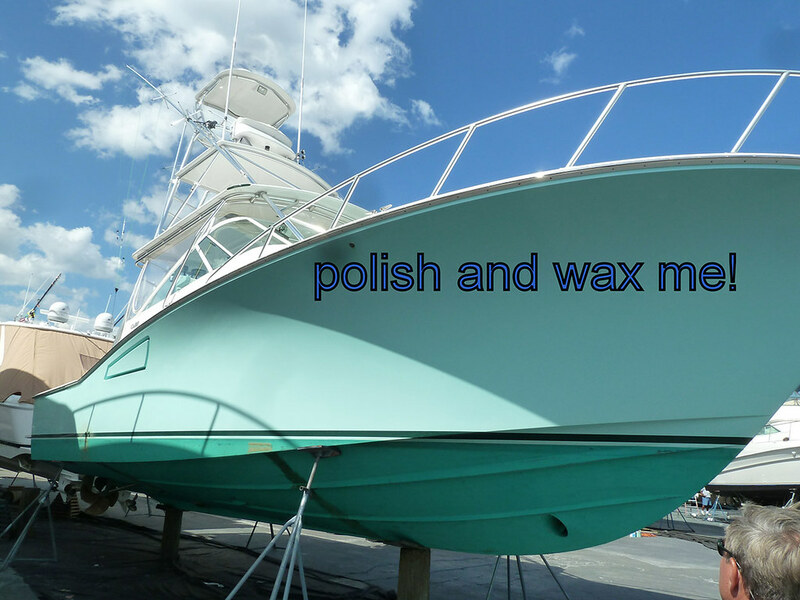 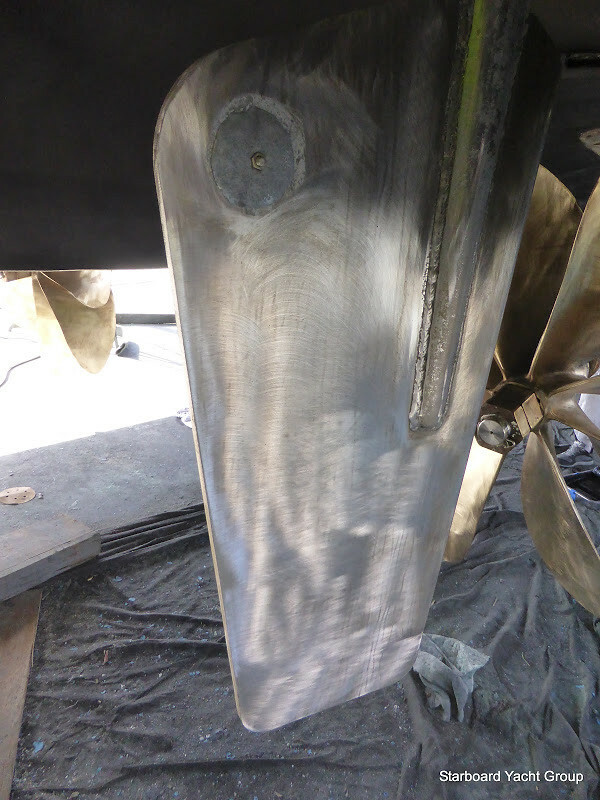 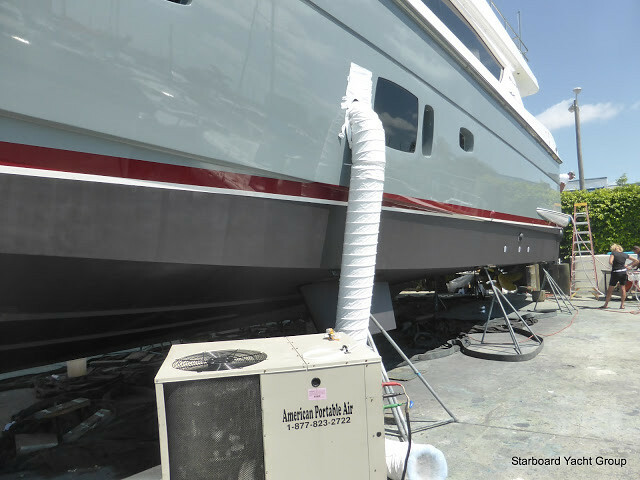 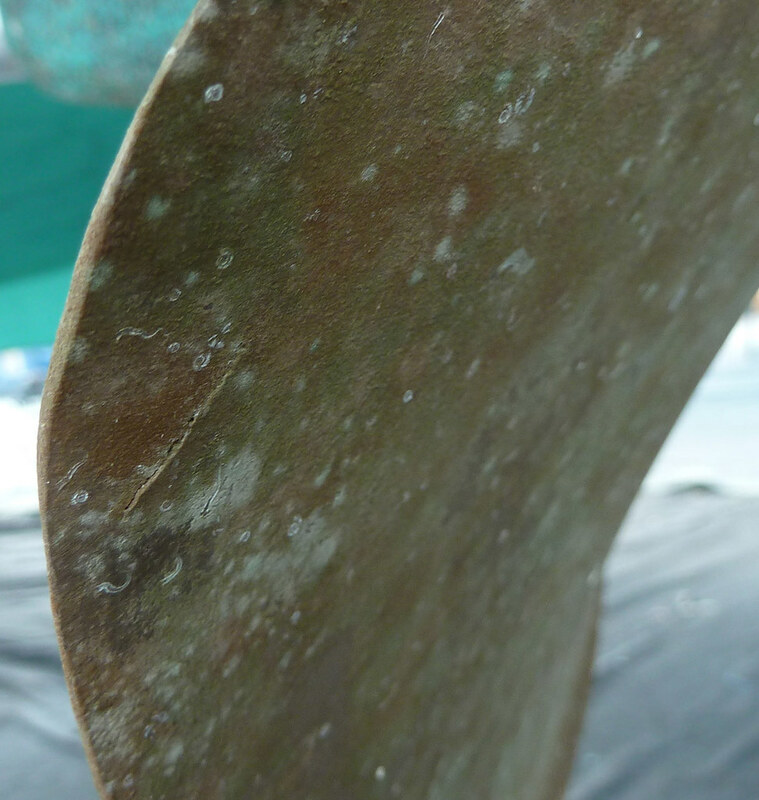 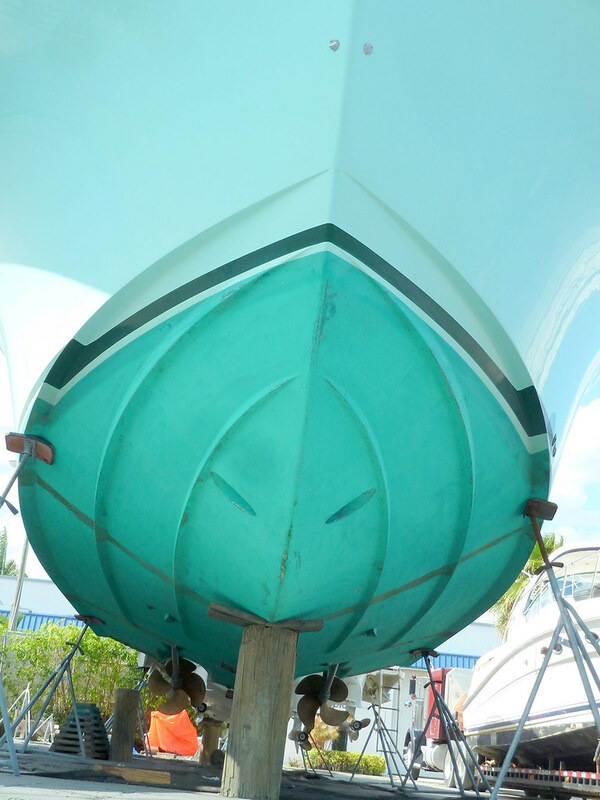 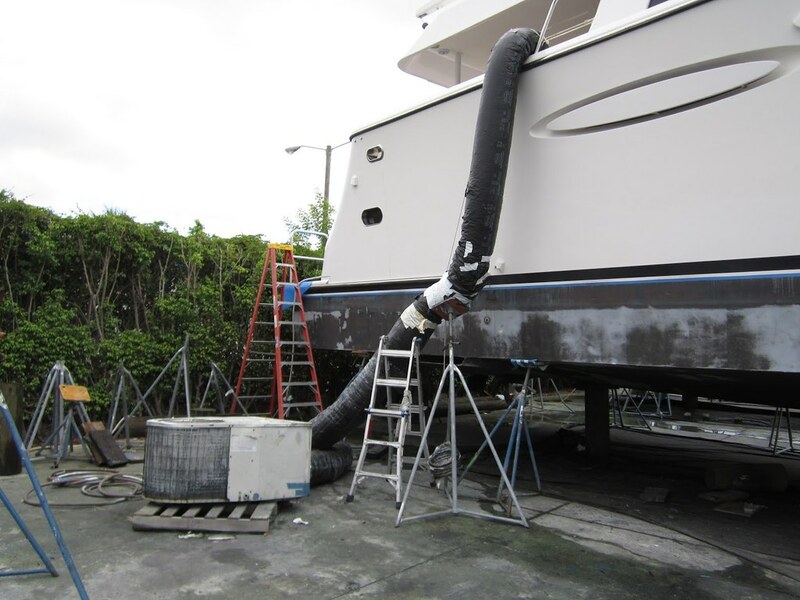 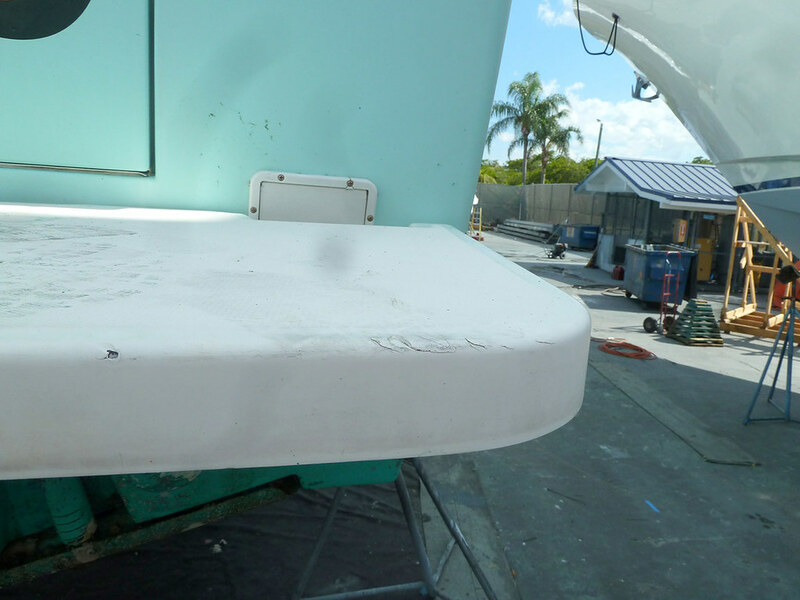 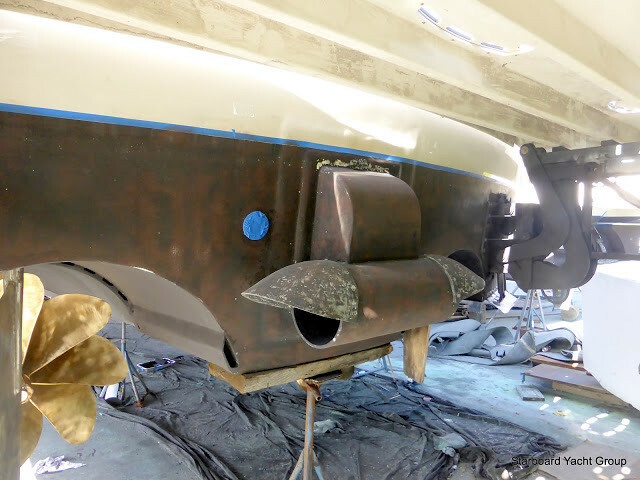 We polished the hull sides to perfection before underneath to sand the bottom and apply two complete coats of Sea Hawk Bio Cop Anti Fouling.We removed all pick up grates, bow thruster props, and stern thruster for sand blast cleaning and prep. 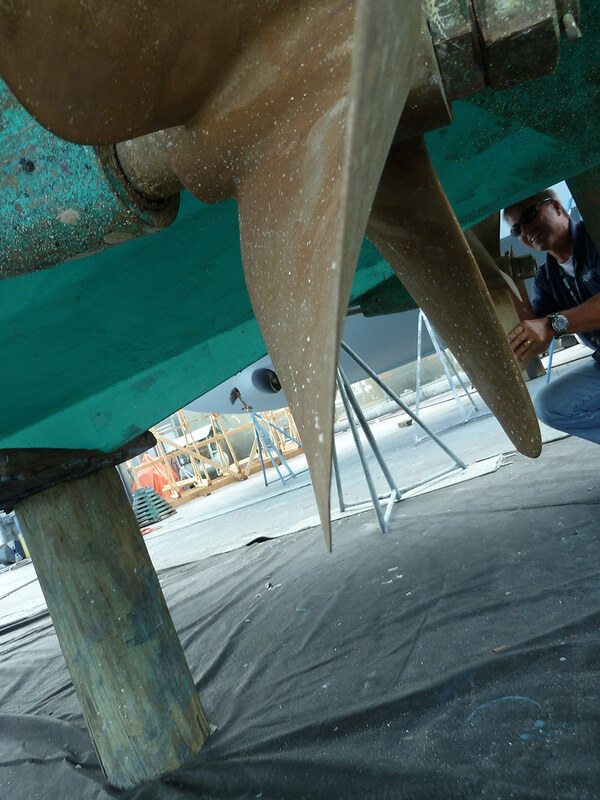 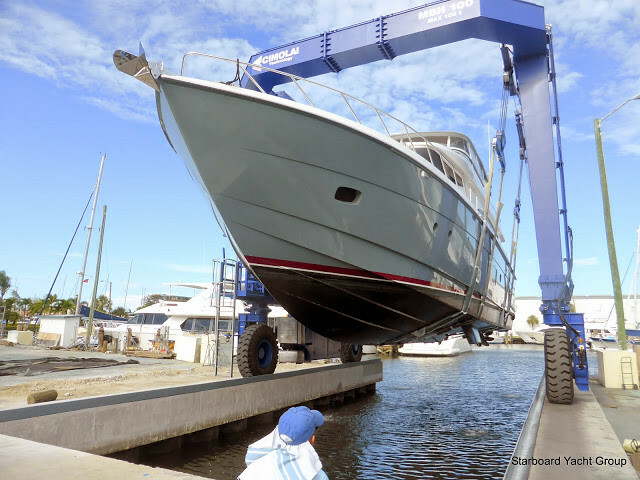 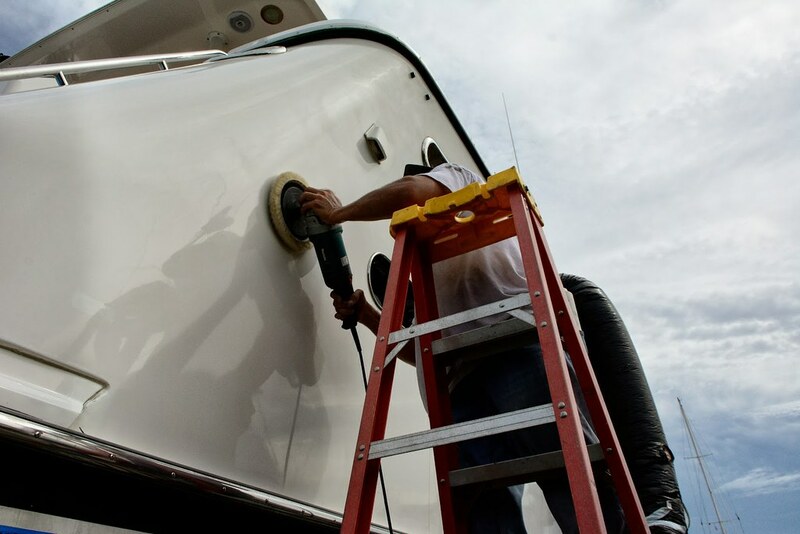 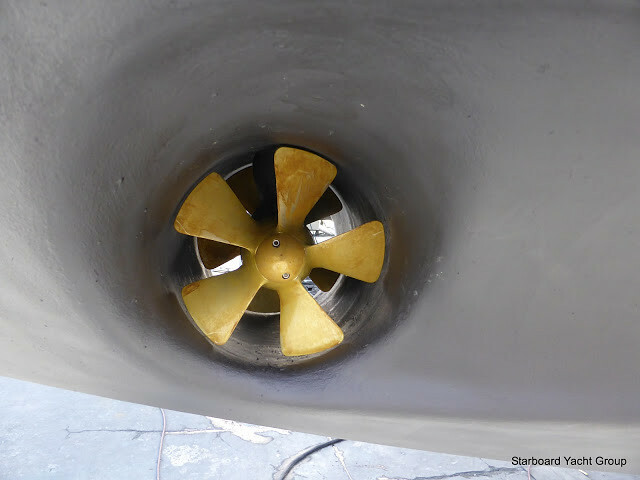 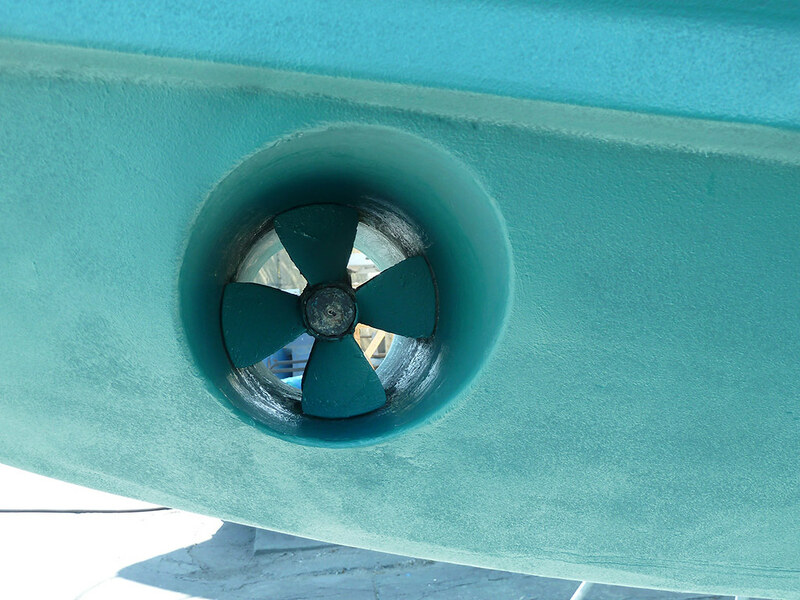 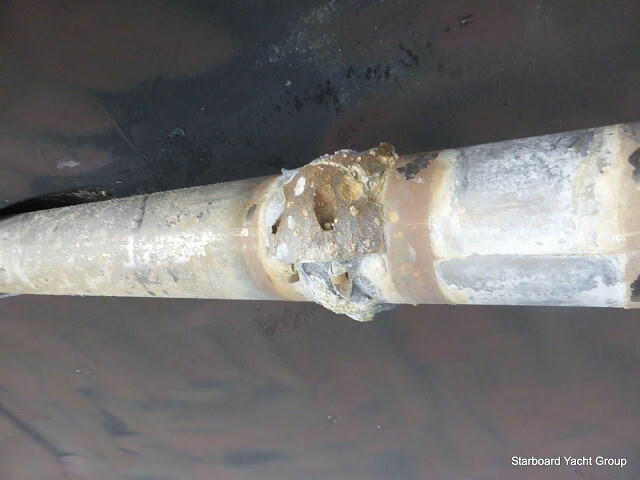 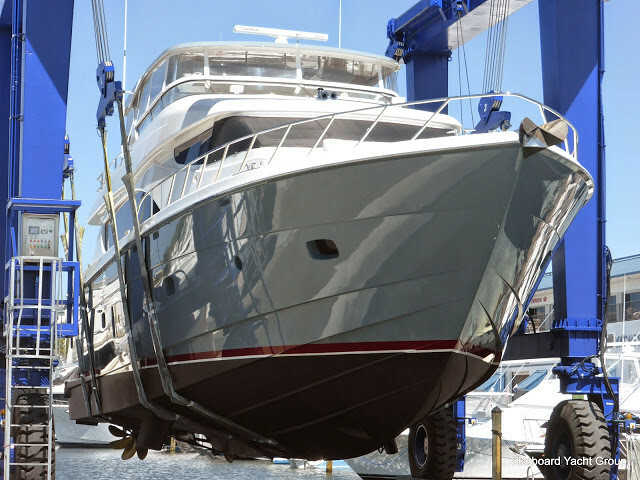 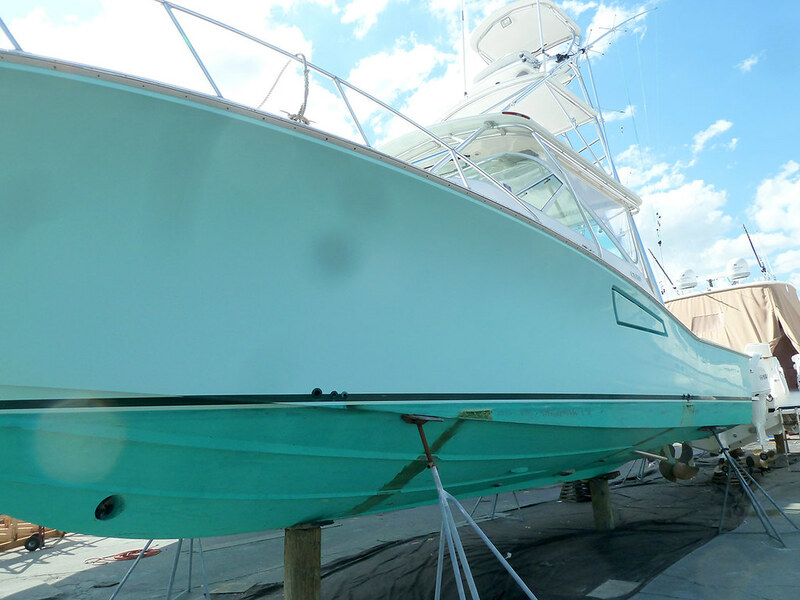 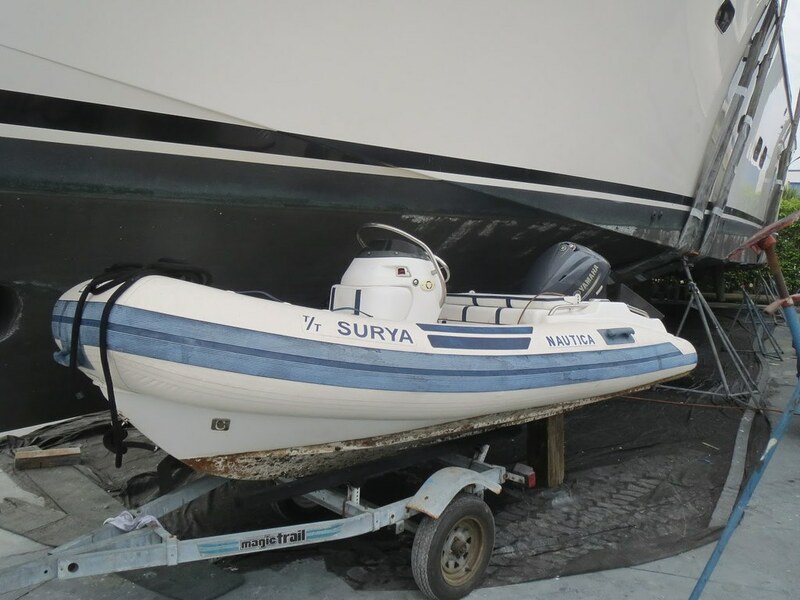 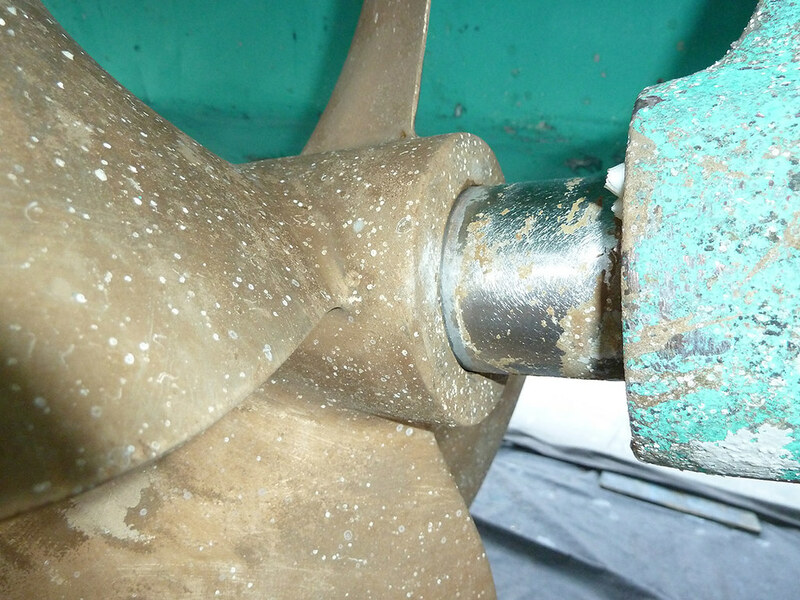 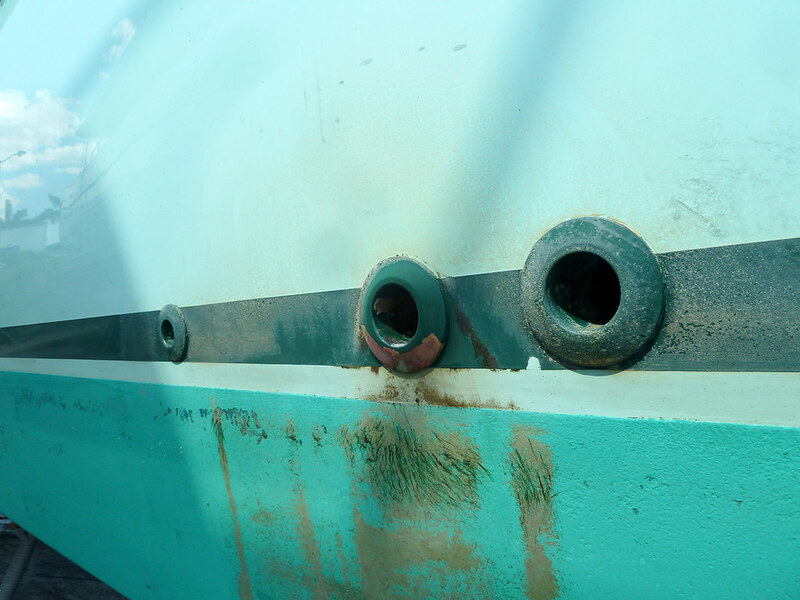 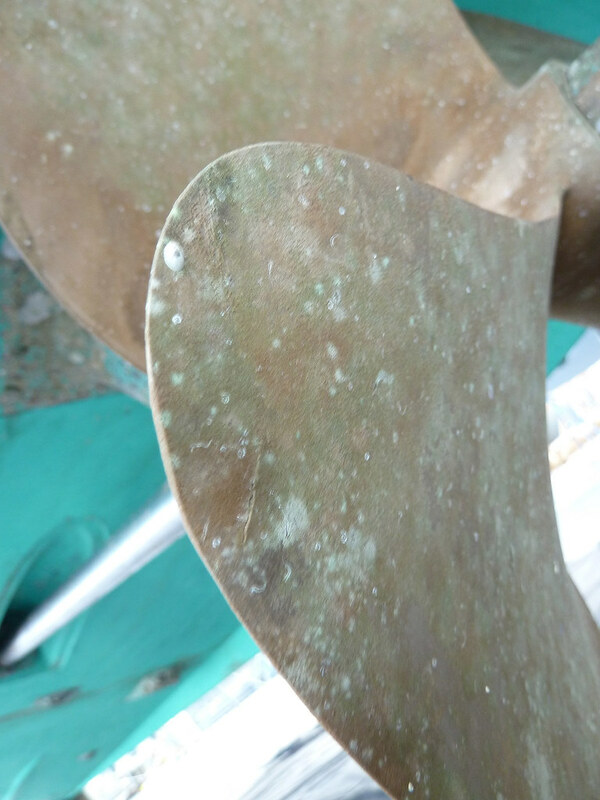 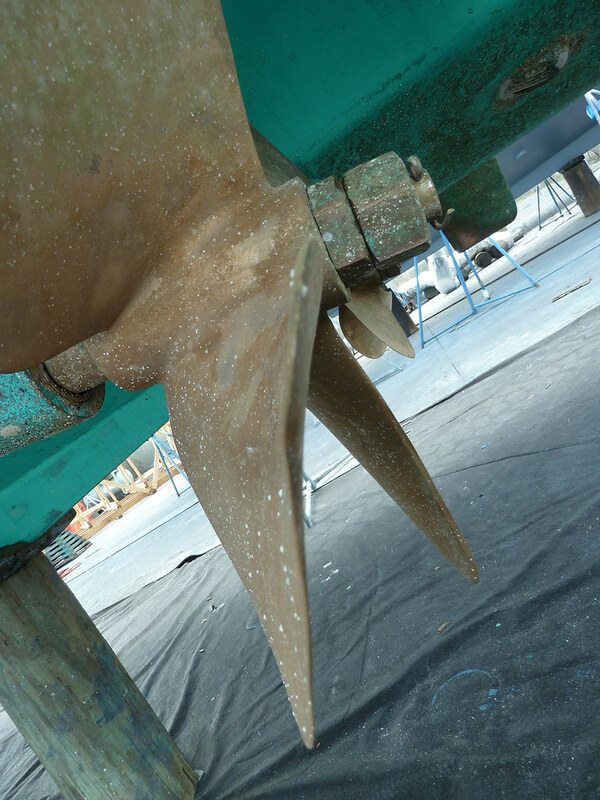 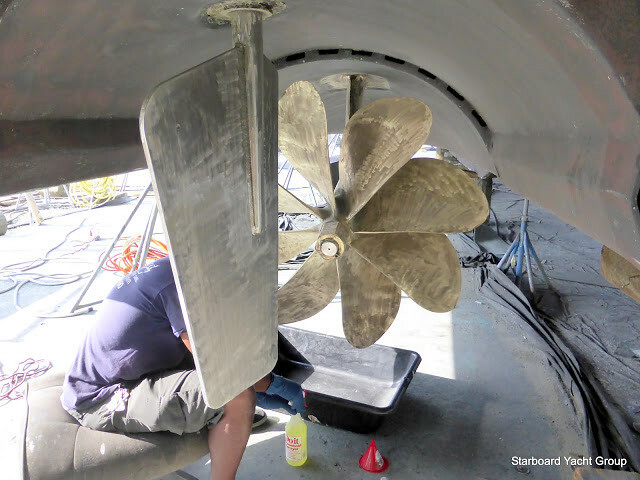 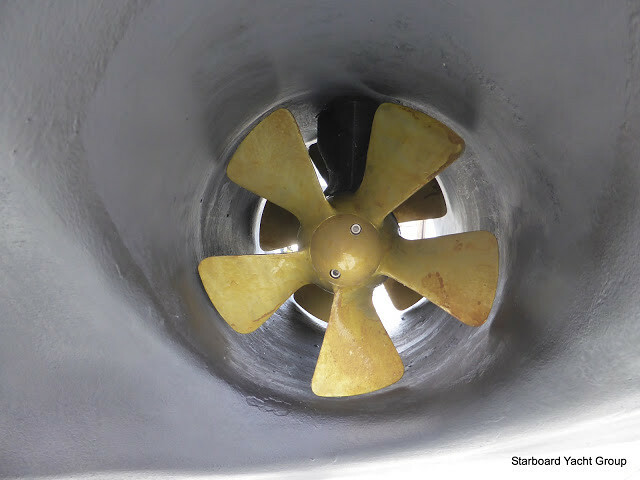 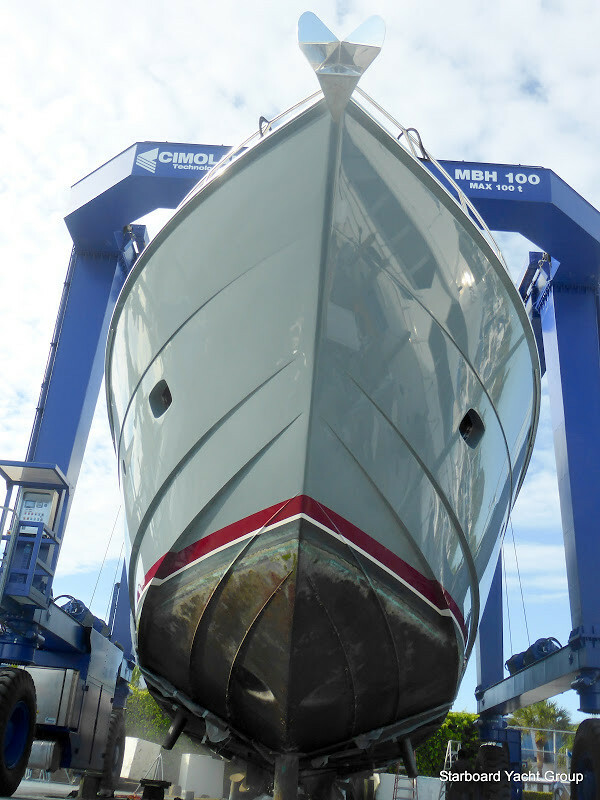 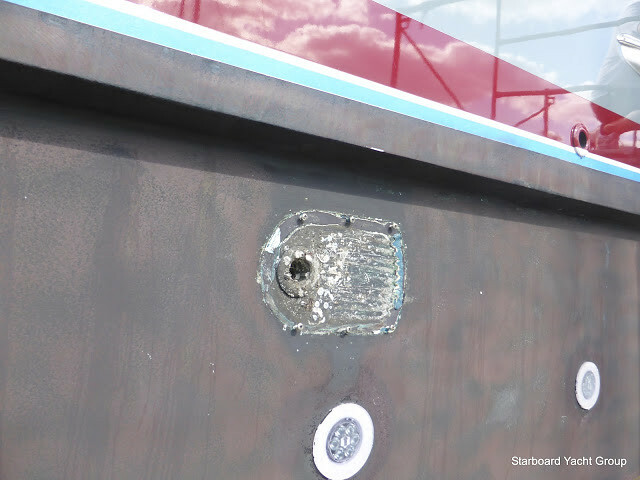 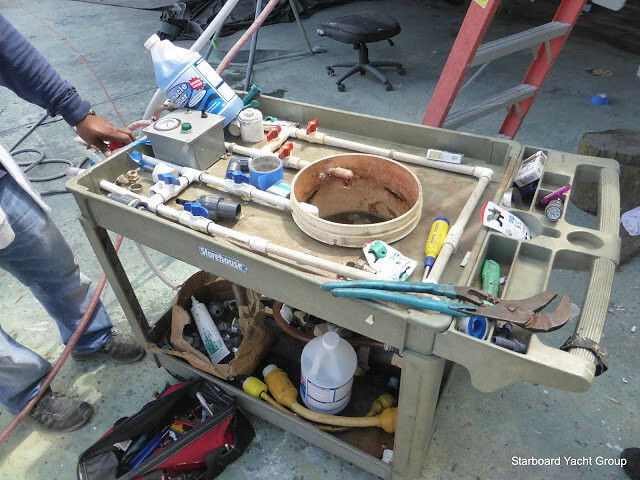 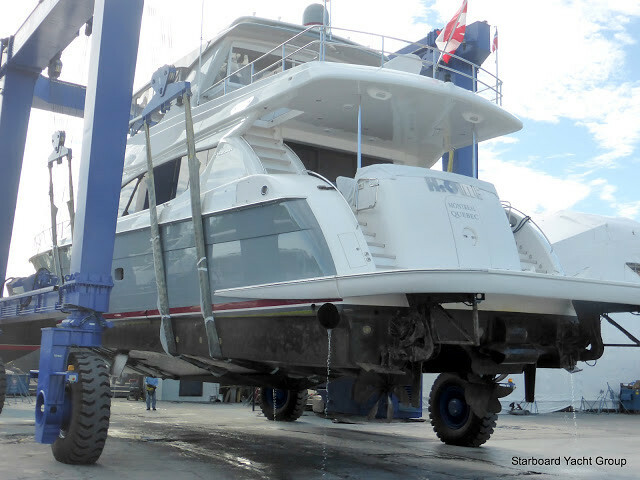 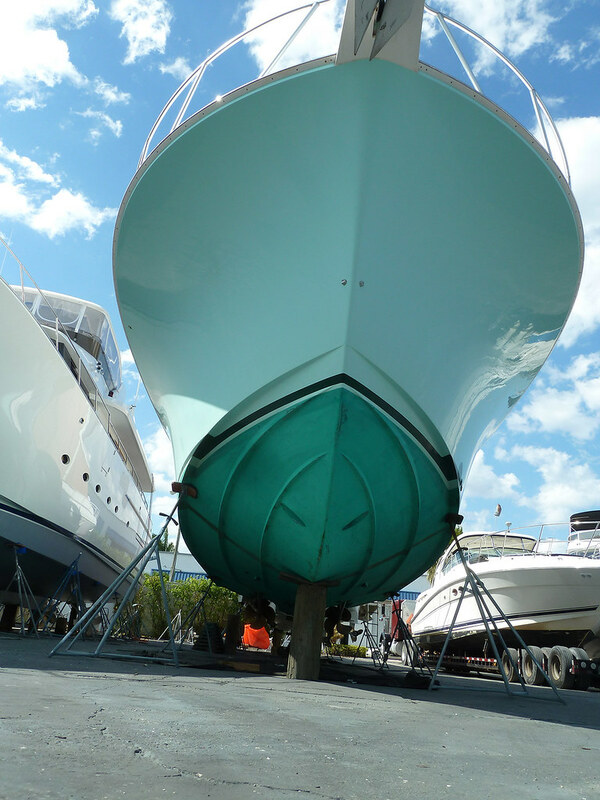 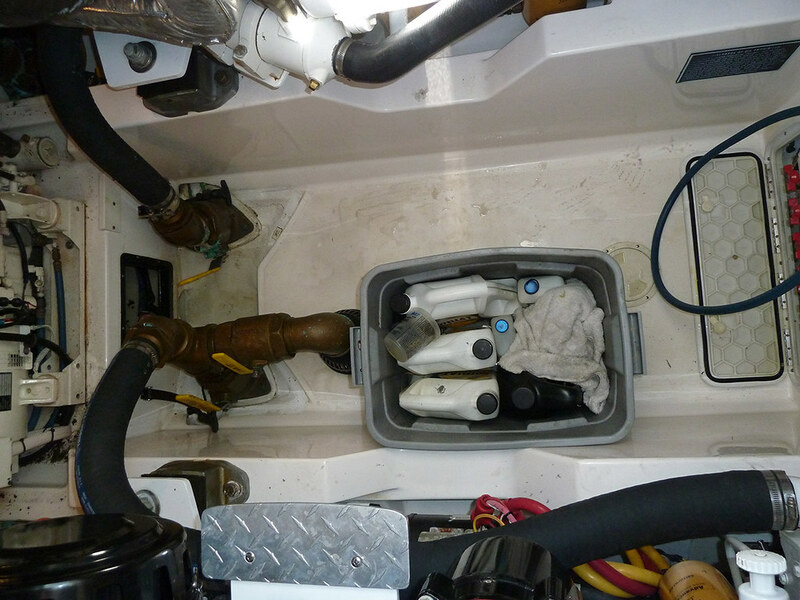 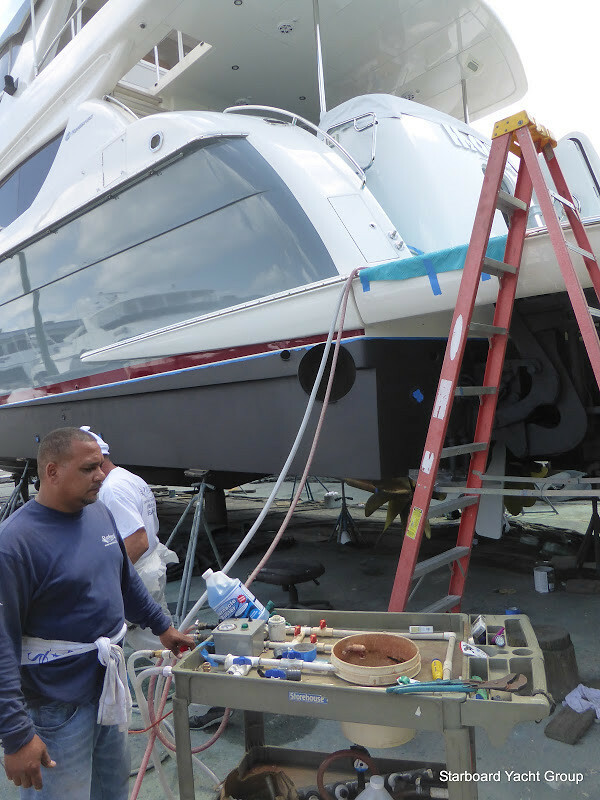 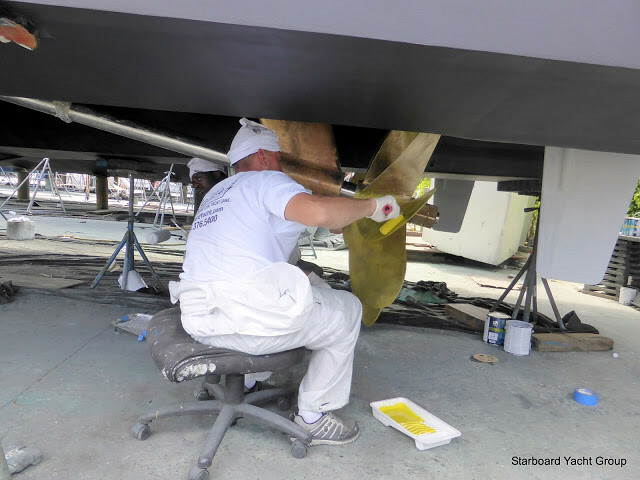 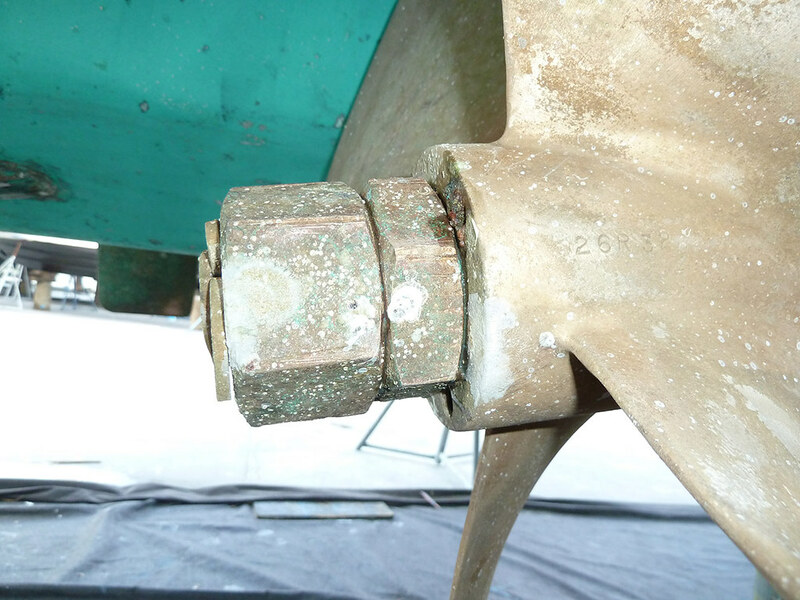 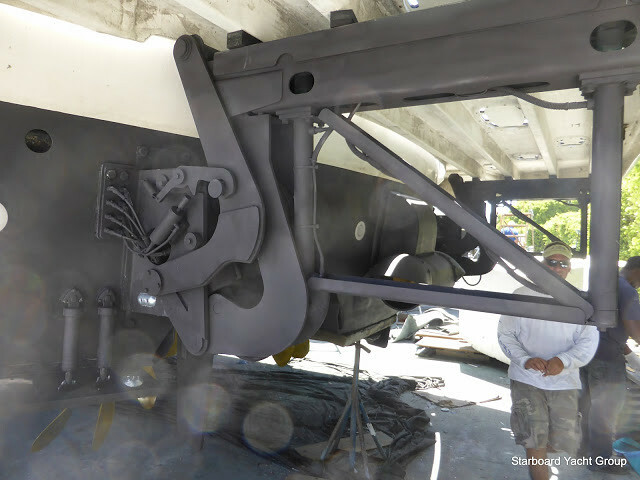 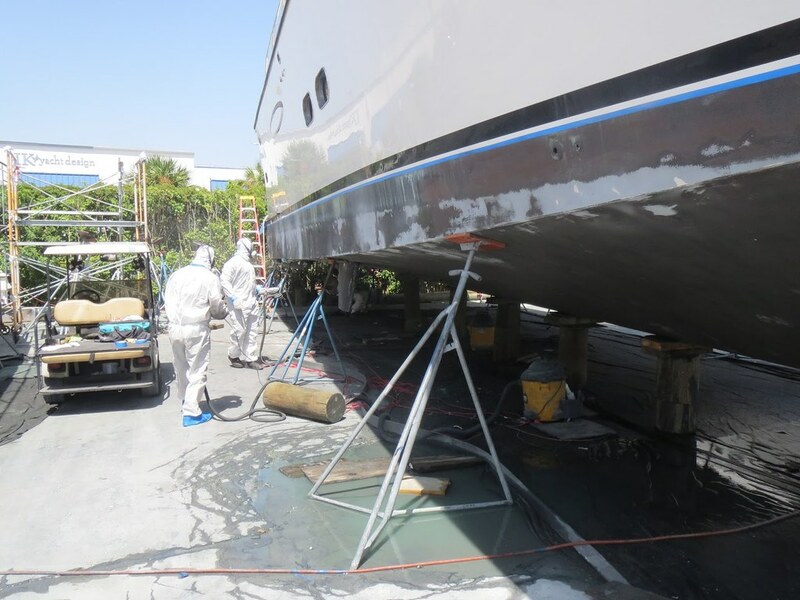 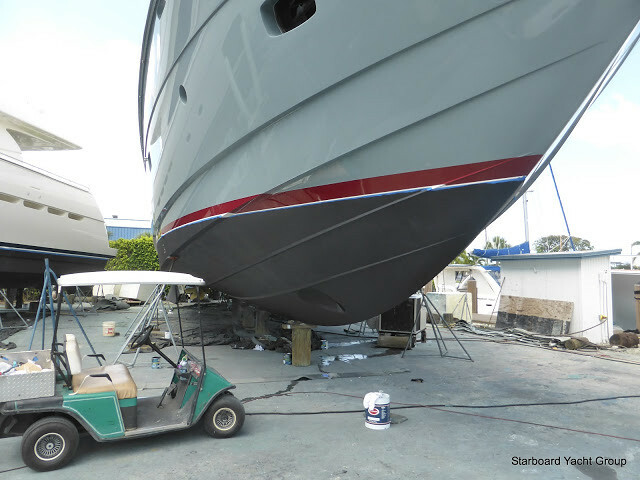 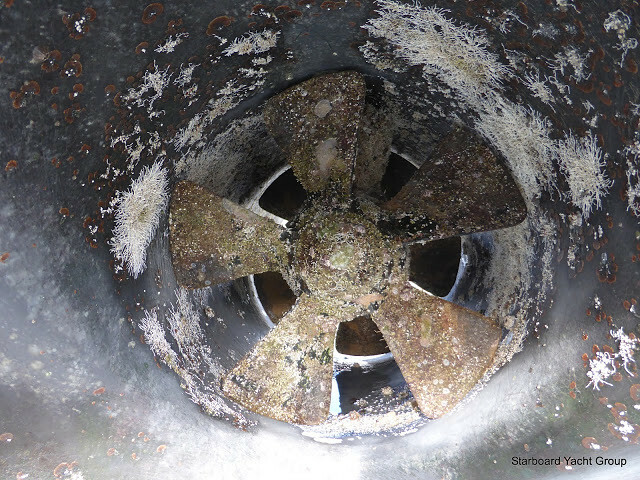 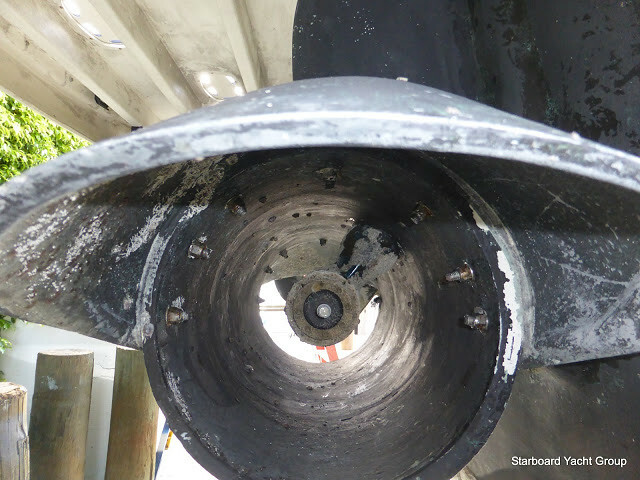 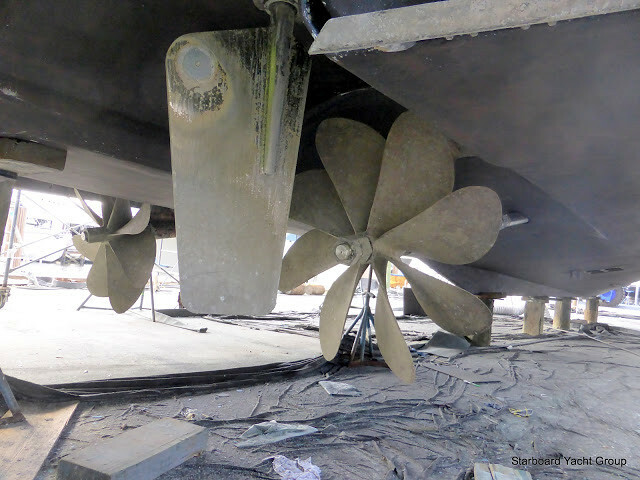 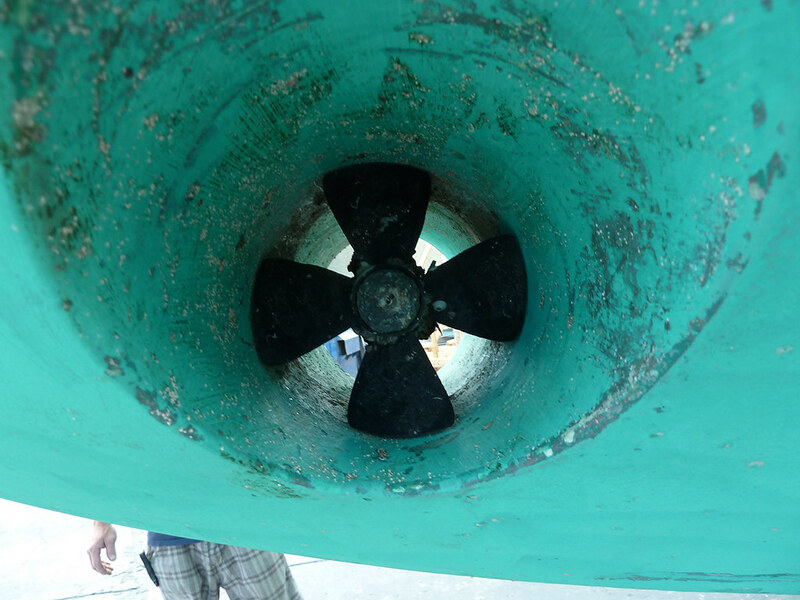 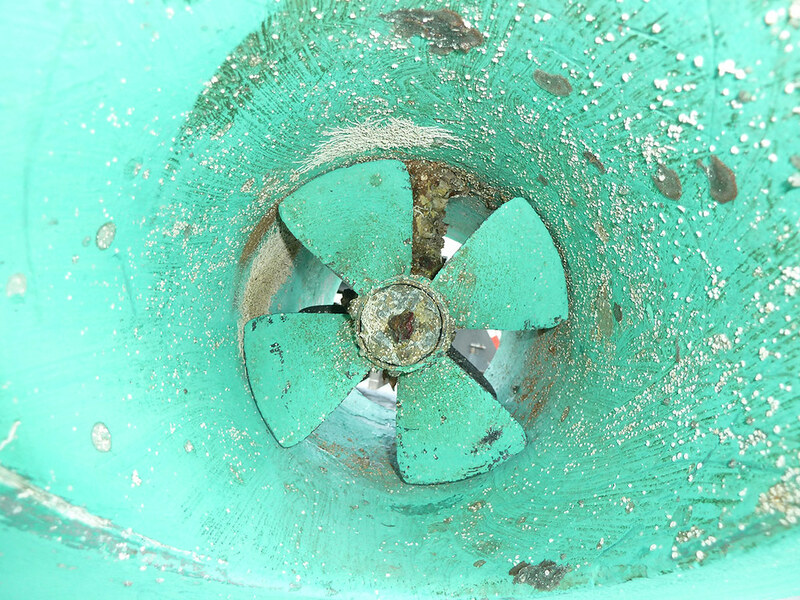 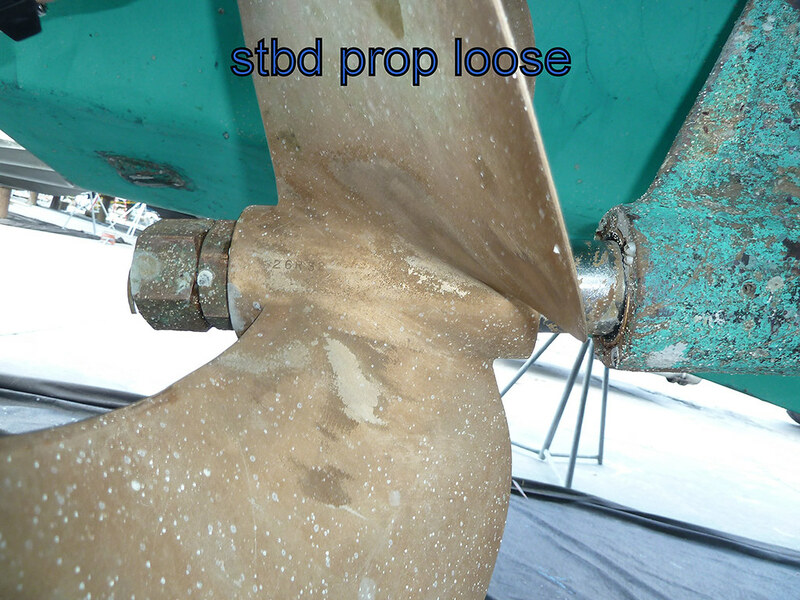 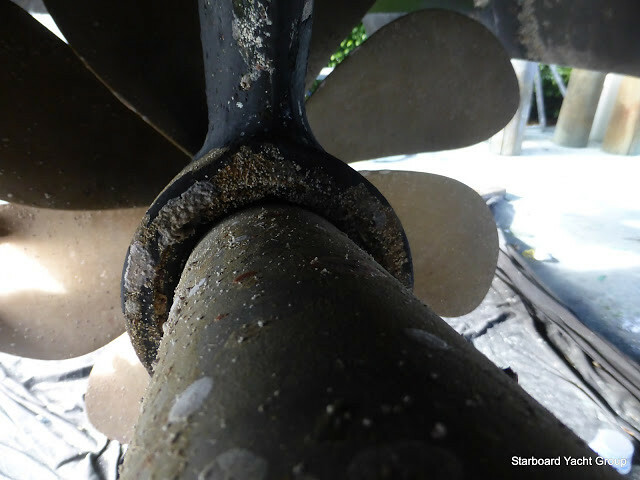 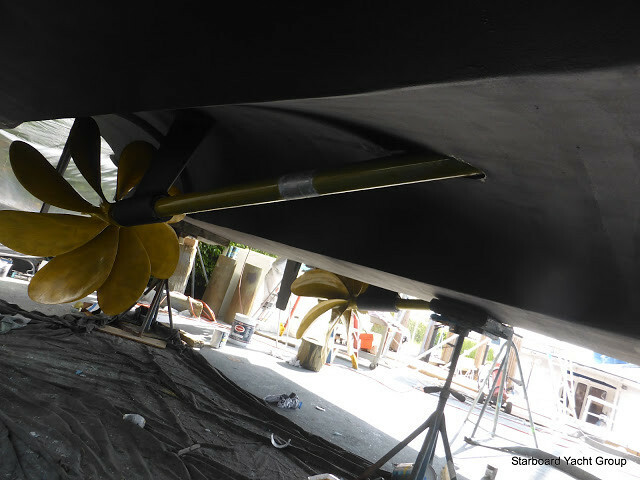 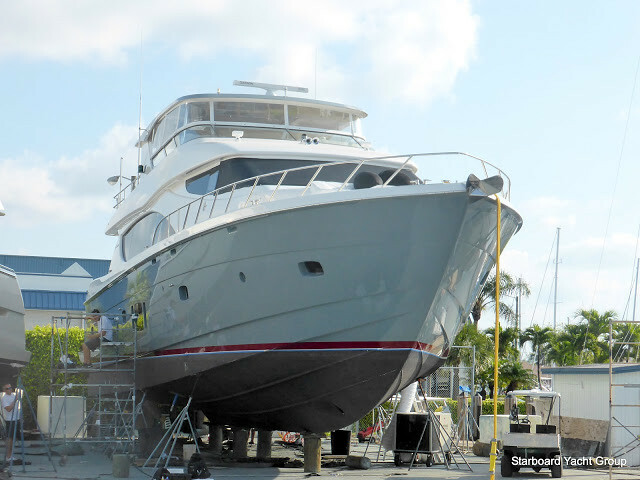 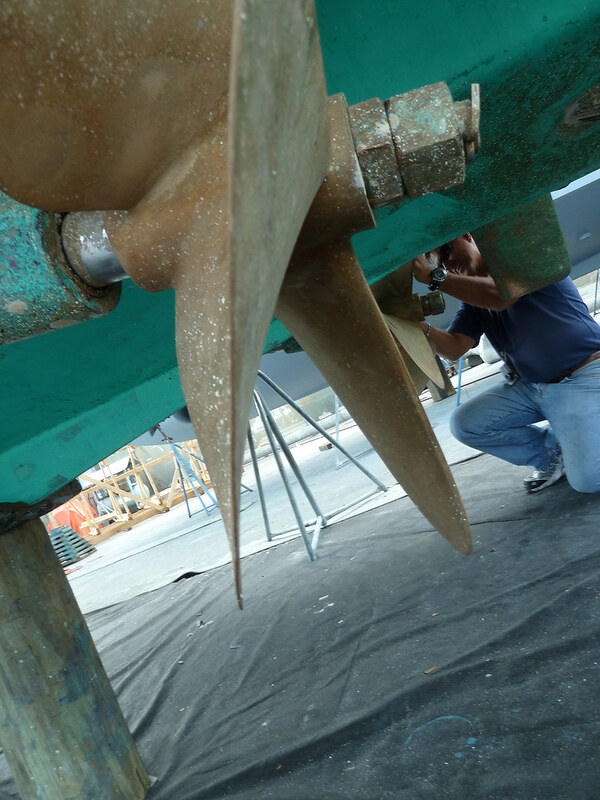 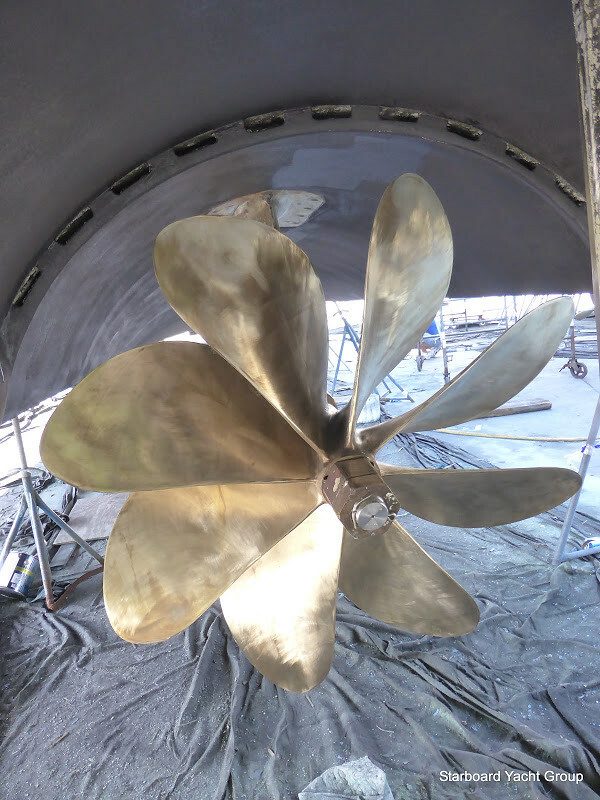 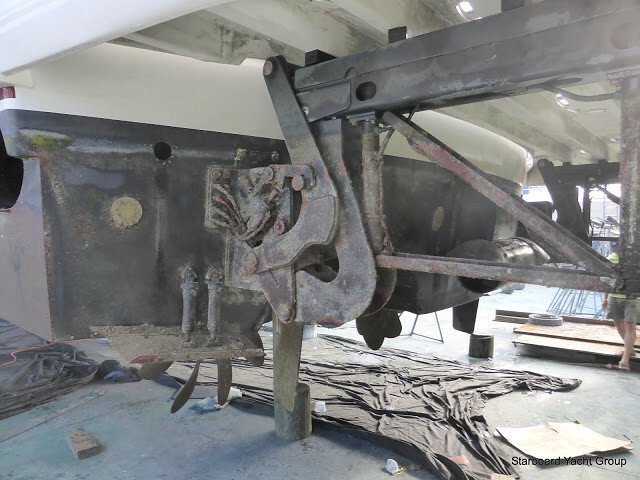 Prep and applying premium "prop speed" propulsion anti fouling to shafts and all props including bow and stern thrusters.Afterwards, we prepped the swim platform and sprayed with primer and anti foul coatings for even paint application in hard to reach areas. 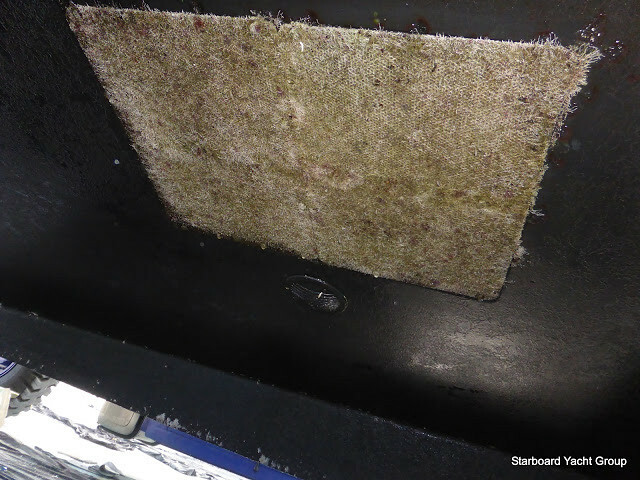 Prime and apply anti foul to all grates and install. 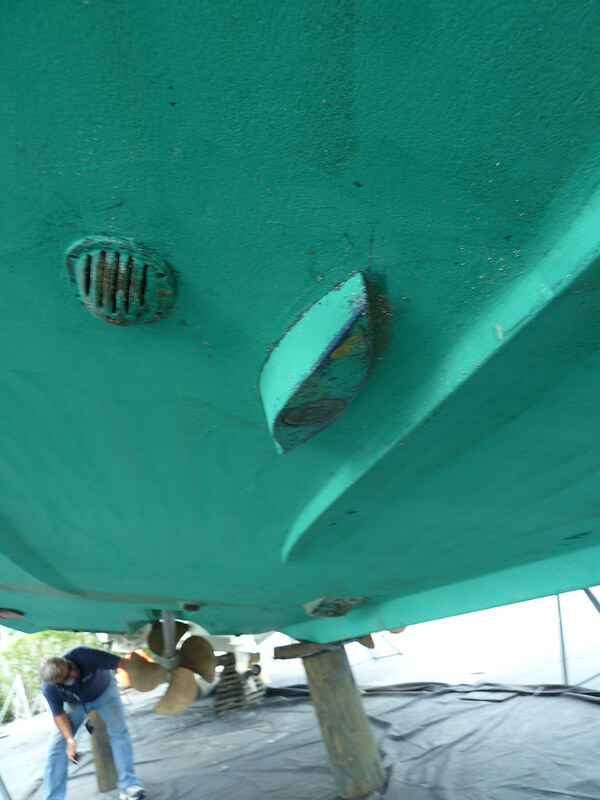 After touching up the bottom, we launched the vessel! 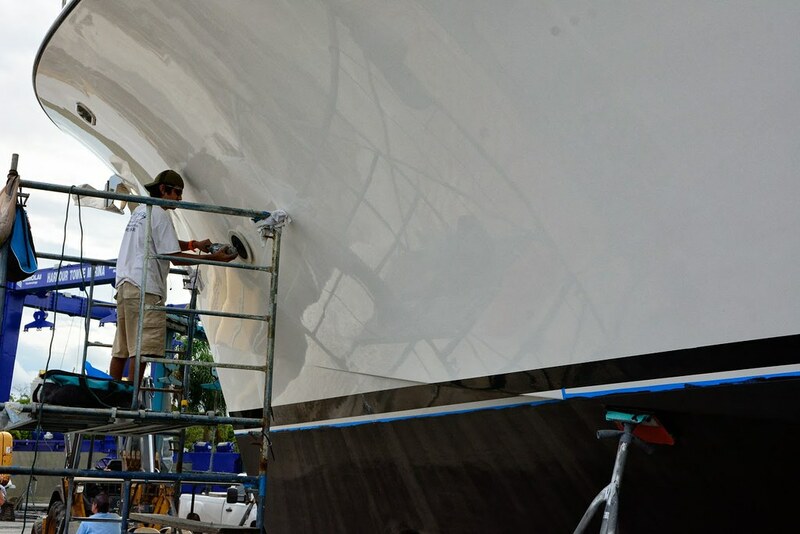 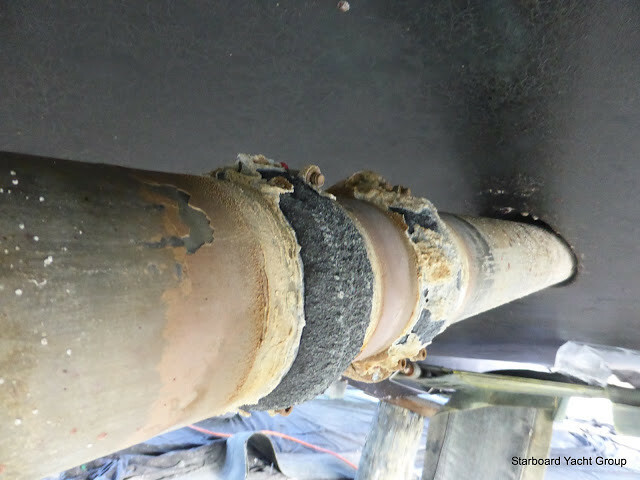 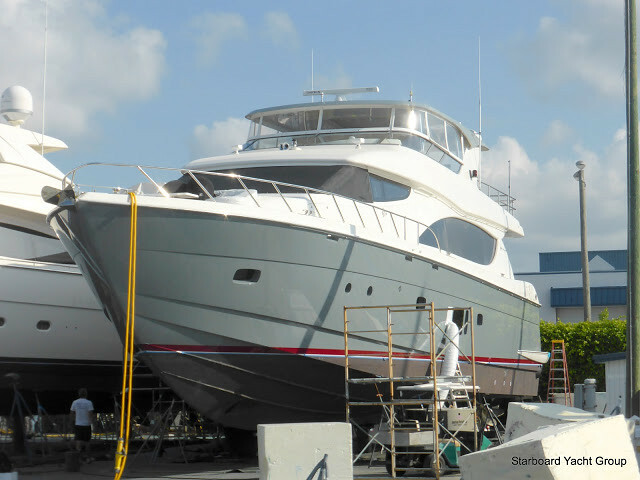 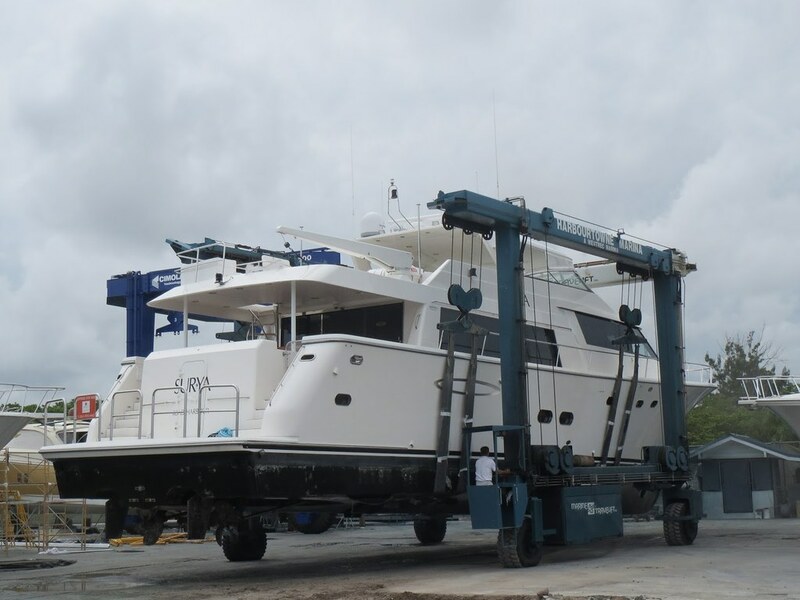 A few photos from our recent work on a gorgeous Surya Luxury Motor Yacht. 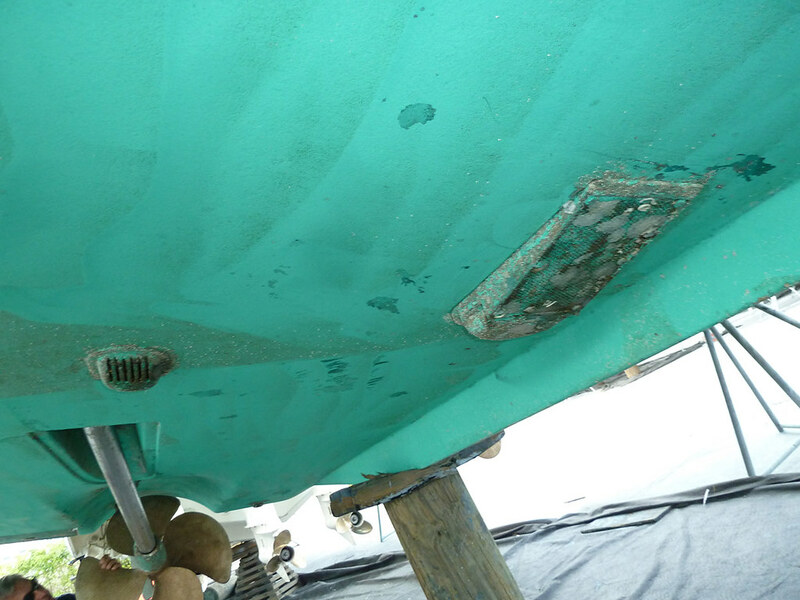 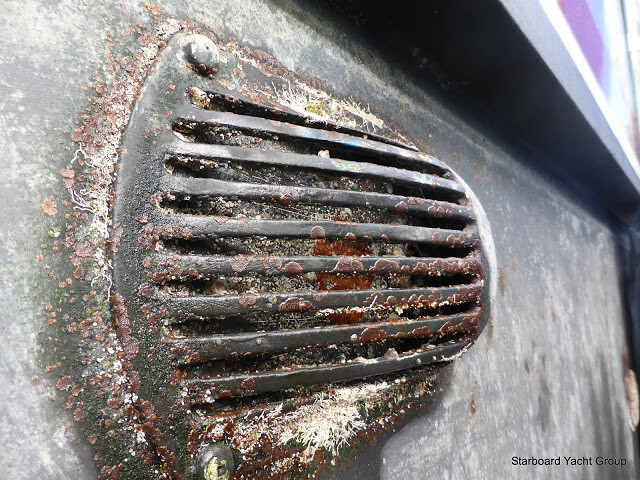 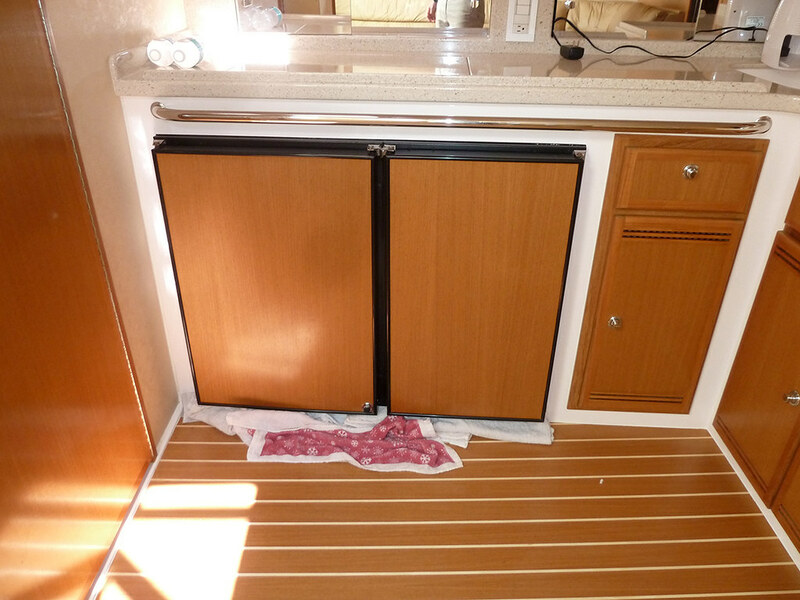 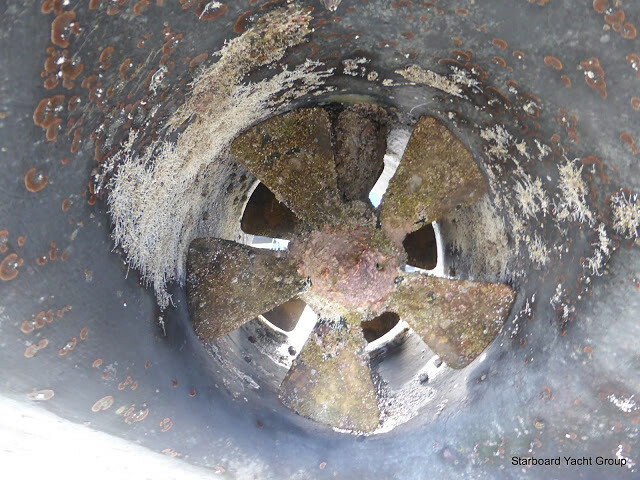 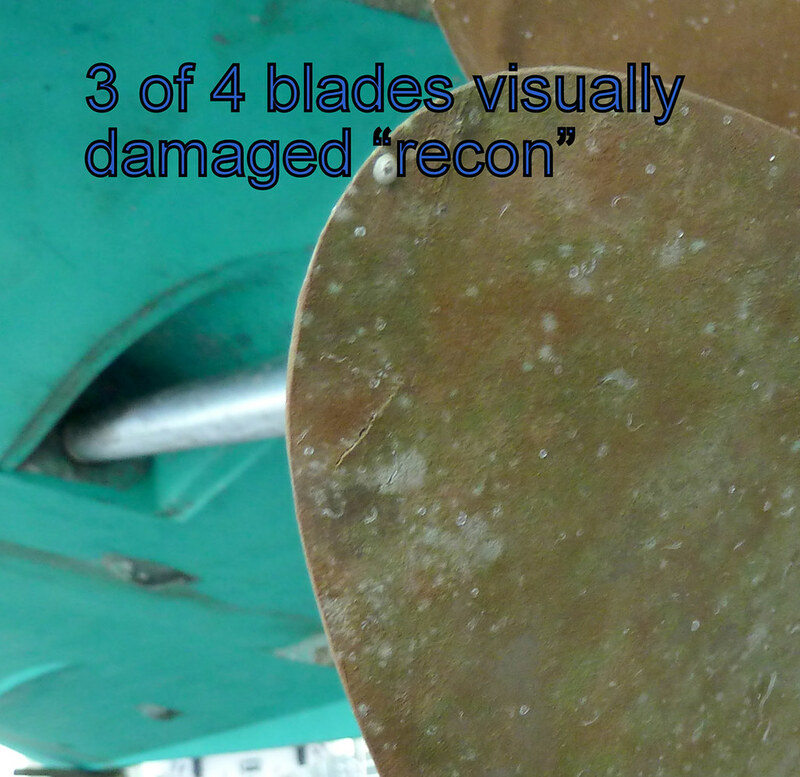 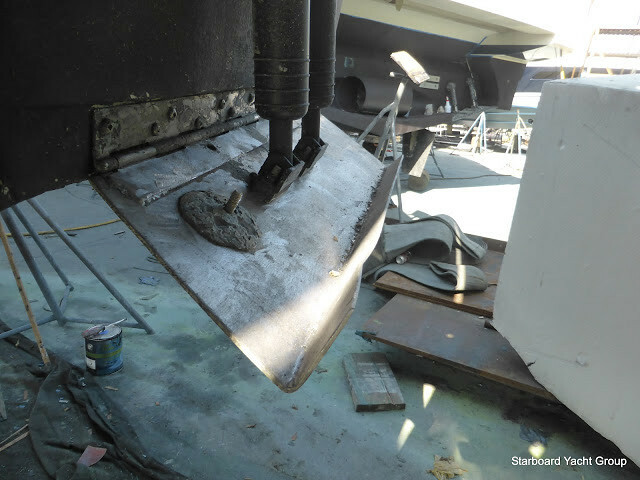 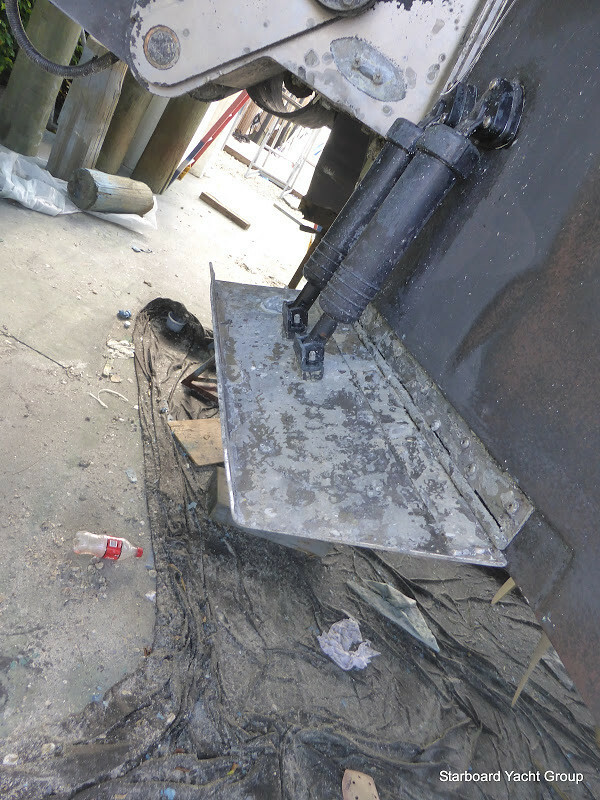 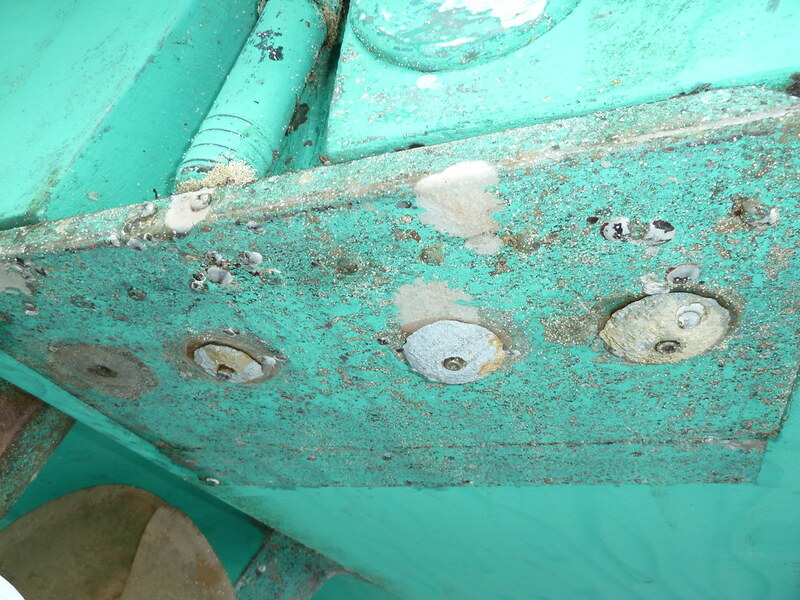 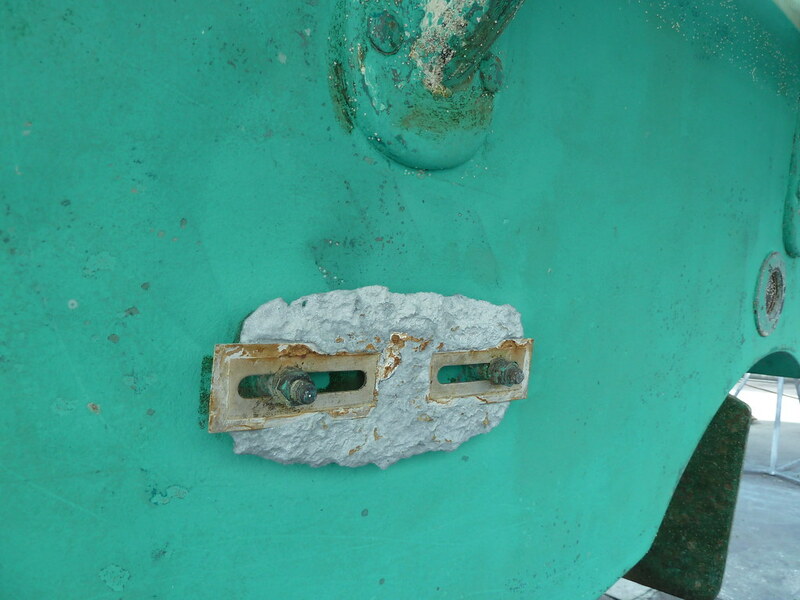 Some of the maintenance included removing pick up screens and grates for cleaning through hulls. 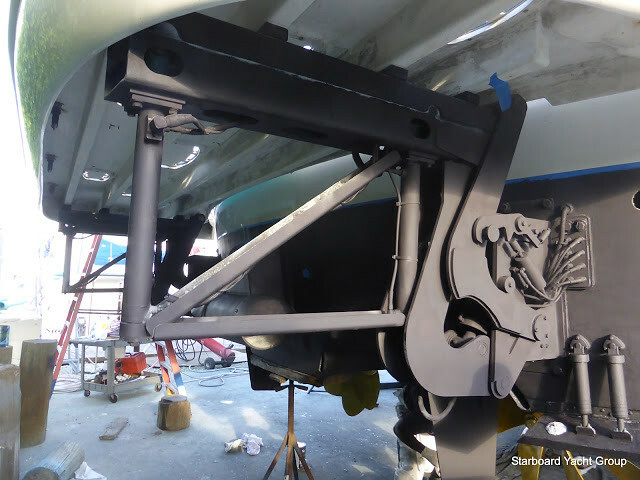 Sand blast and paint with trilux anti foul. 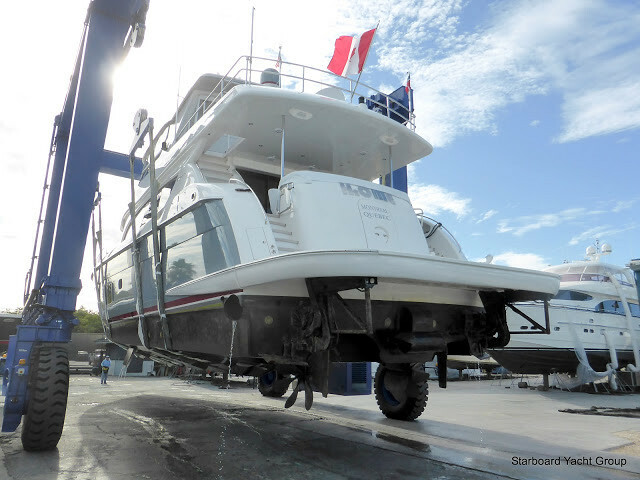 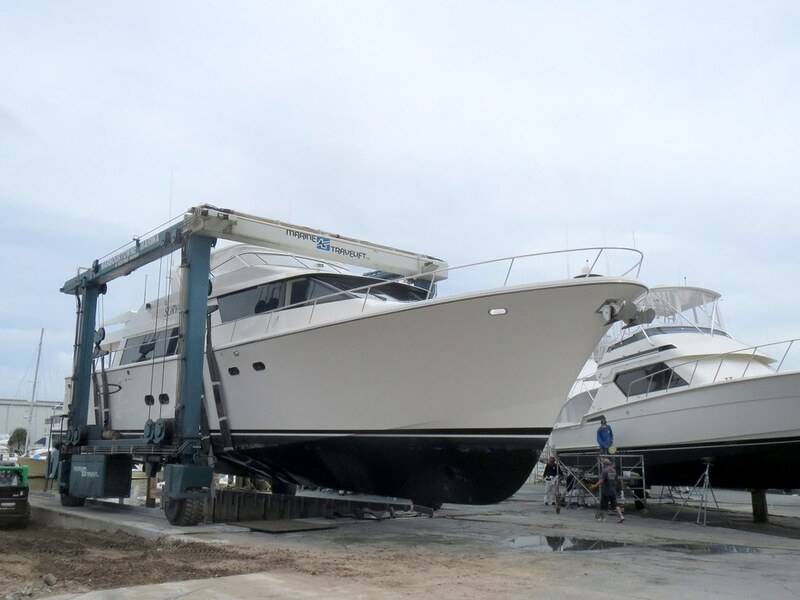 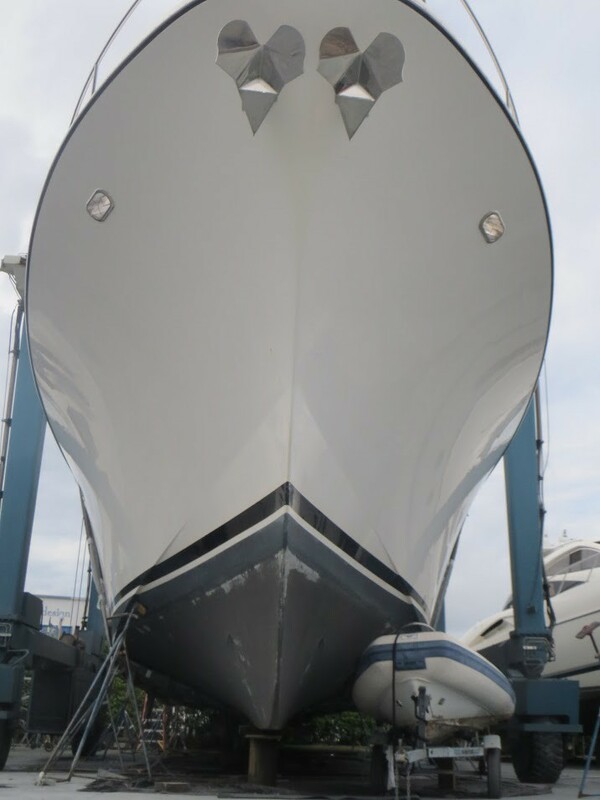 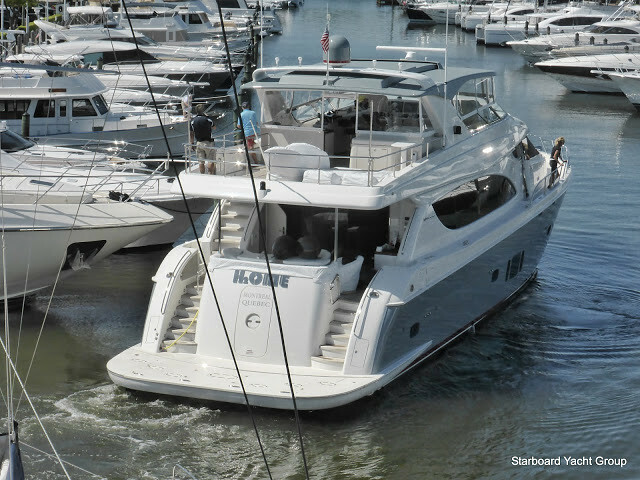 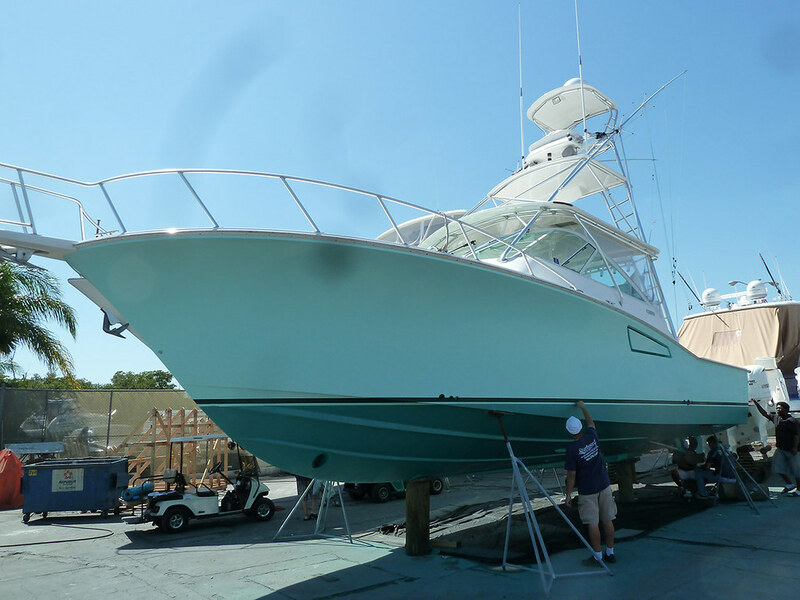 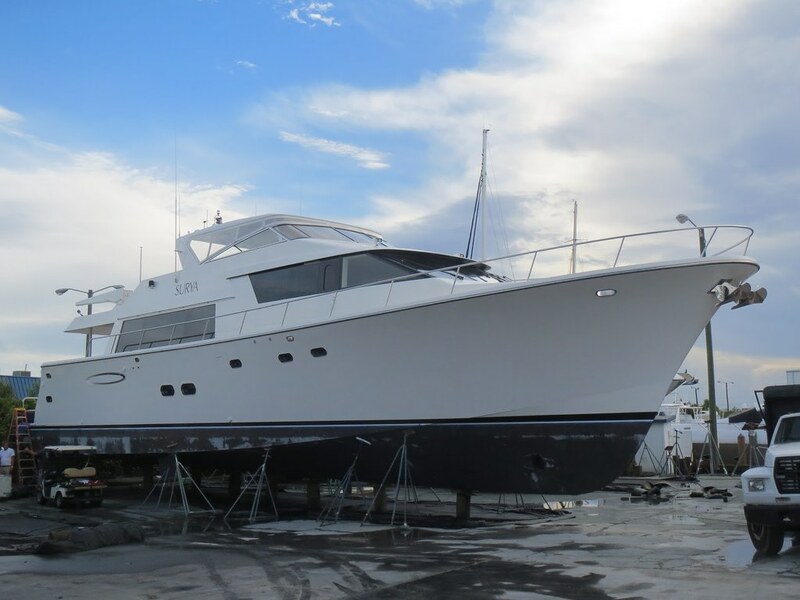 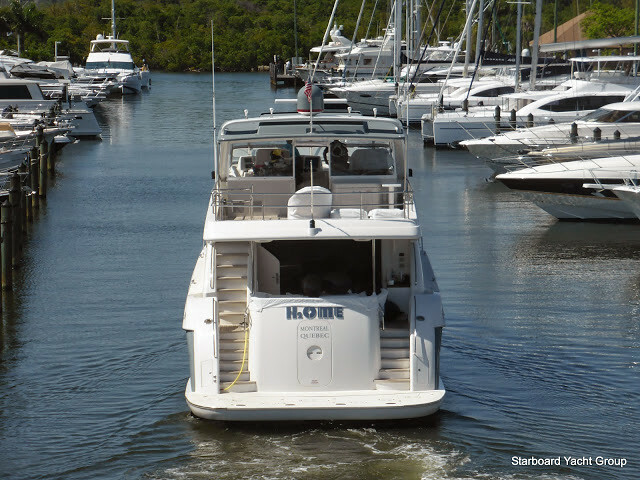 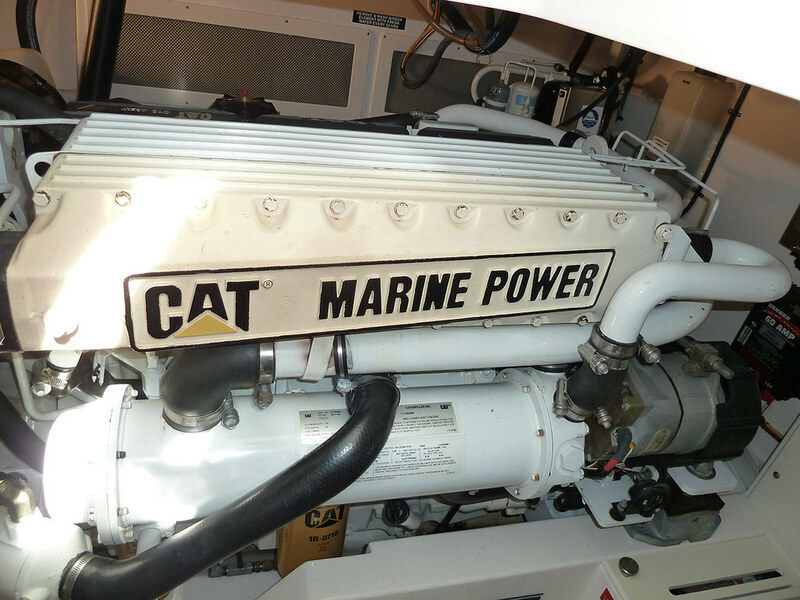 This gorgeous Pacific Mariner comes in at a LOA: 65'0"
Recent work done on a Cabo Yacht that included propellor blades damage repair, fixing a loose prop, and a complete wax and polish to make give her a shine! 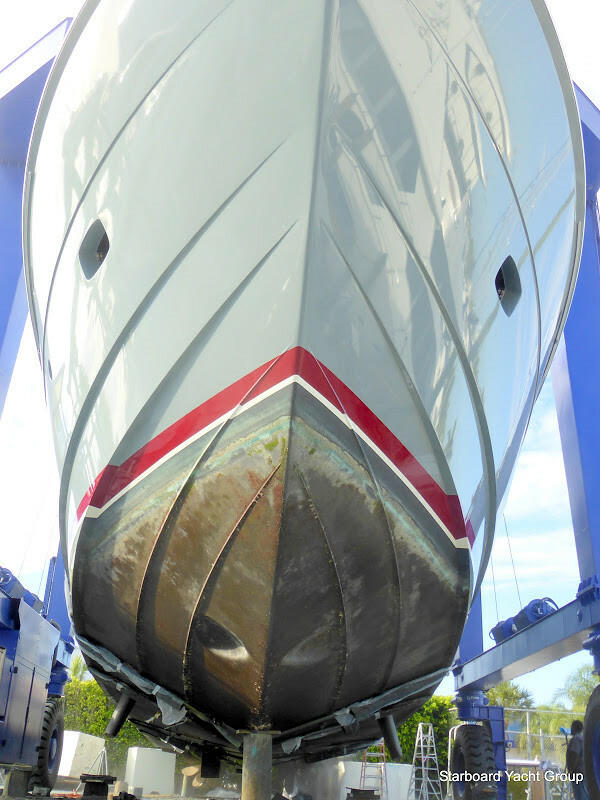 LOA: 40'0"